A purported video of the incident showed some men in black clothes waiving black flags to Sanjay Singh and trying to stop his vehicle. 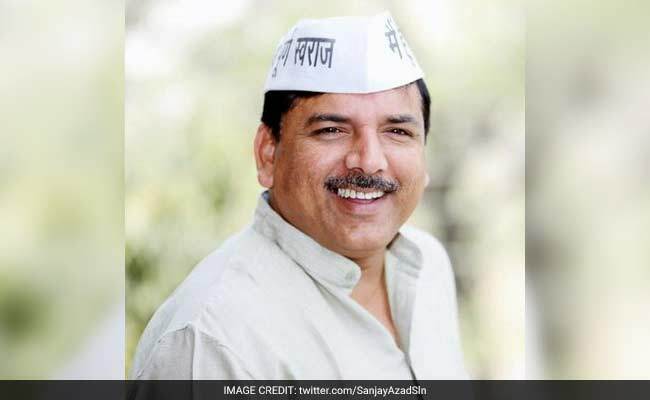 Senior AAP leader Sanjay Singh who is in Madhya Pradesh to campaign for Assembly polls alleged that his vehicle was attacked by some people in Chhindwara district of the state on Tuesday. "My vehicle was attacked and someone tried to open the door and drag me out," Sanjay Singh told PTI. The policemen present on the scene drove away the protesters and made way for his vehicle. The Aam Aadmi Party Rajya Sabha MP said attempts were being made to instigate the people of the state for staging "violent protests" against the recent amendments in the SC/ST Act. He, however, did not name anyone in the incident. Elections to the 230-member Madhya Pradesh Assembly are likely to be held later this year.